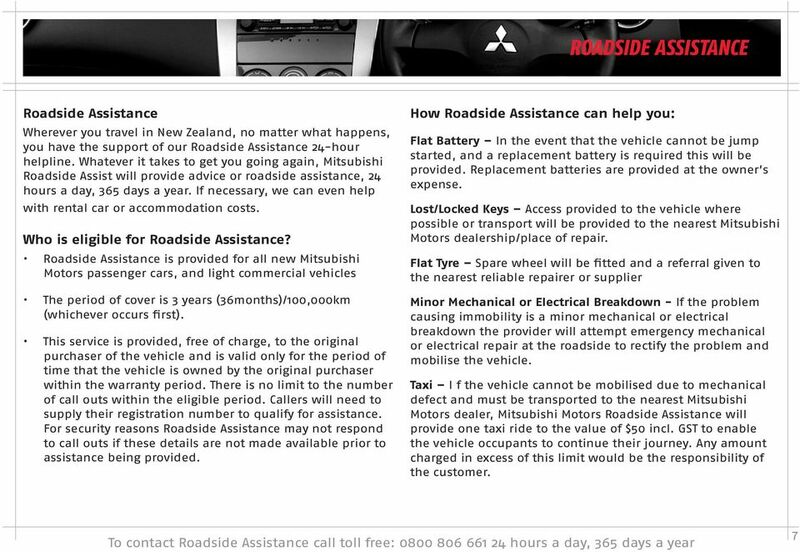 Download "SERVICE PLAN & WARRANTY PASSENGER CARS PLUG-IN HYBRID ELECTRIC VEHICLE"
4 WARRANTY STATEMENT 5 Year Warranty Offer: Subject to the additional conditions, your warranty will be valid for a total of 60 months from the original date of purchase or until the vehicle has travelled a maximum of 100,000kms, whichever occurs first Roadside Assistance package benefits continue for this extension period for the original owner. 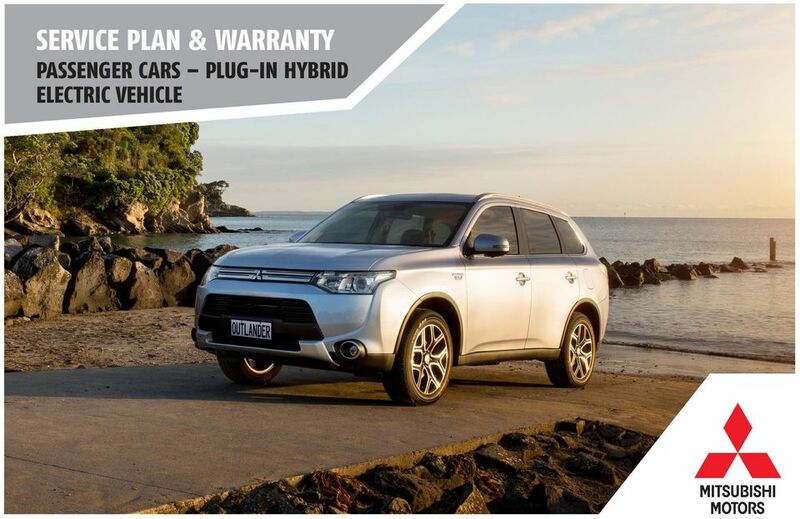 Additional Exceptions: Your extended 60 month / 100,000km warranty does not cover the 12 Volt battery, audio, tyres, air conditioning compressor and air conditioning system maintenance, and all accessories fitted at time of purchase. 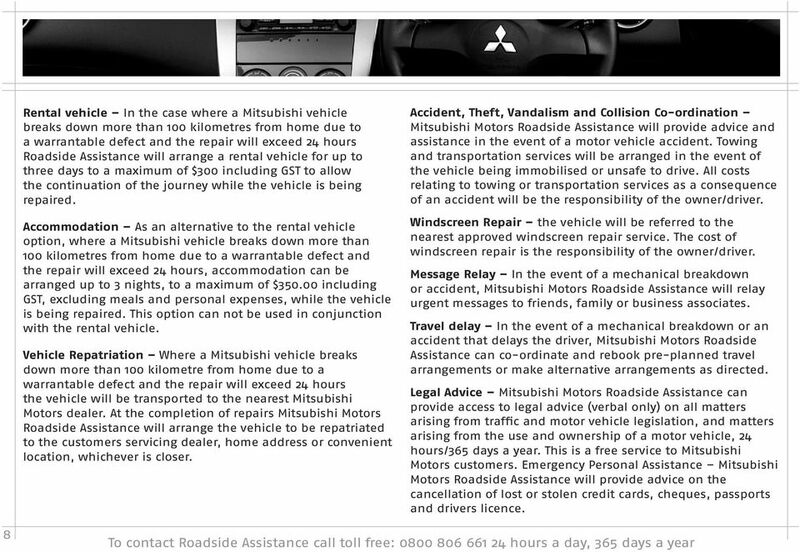 The exceptions for the standard warranty apply to this 60 month /100,00km warranty also. 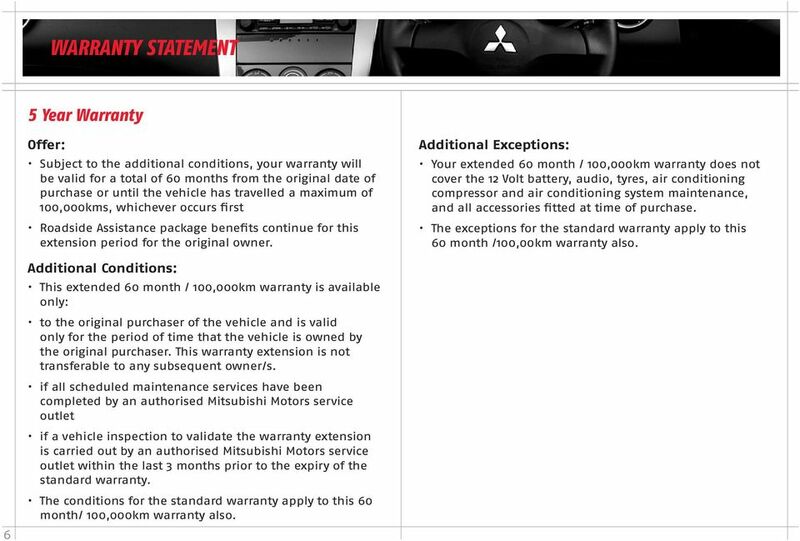 6 Additional Conditions: This extended 60 month / 100,000km warranty is available only: to the original purchaser of the vehicle and is valid only for the period of time that the vehicle is owned by the original purchaser. 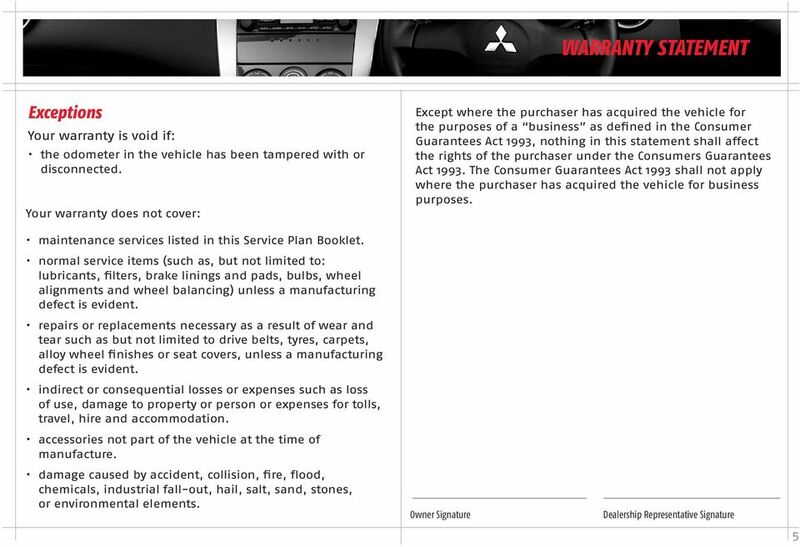 This warranty extension is not transferable to any subsequent owner/s. 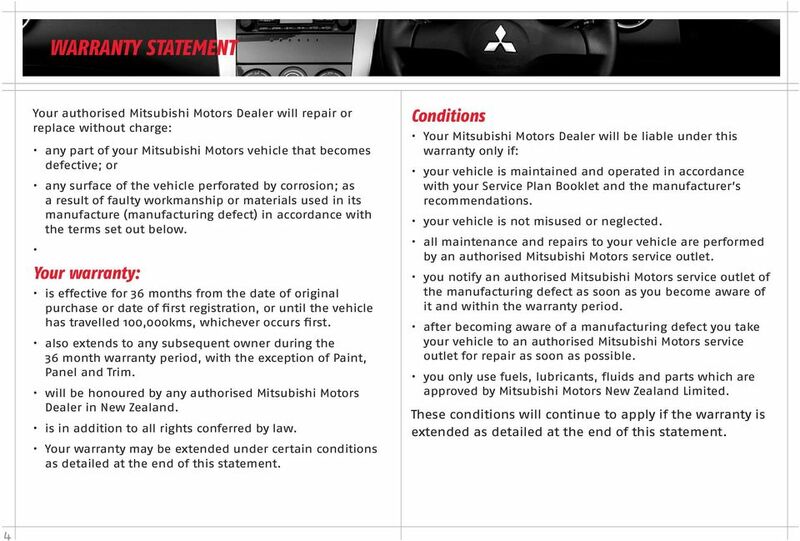 if all scheduled maintenance services have been completed by an authorised Mitsubishi Motors service outlet if a vehicle inspection to validate the warranty extension is carried out by an authorised Mitsubishi Motors service outlet within the last 3 months prior to the expiry of the standard warranty. 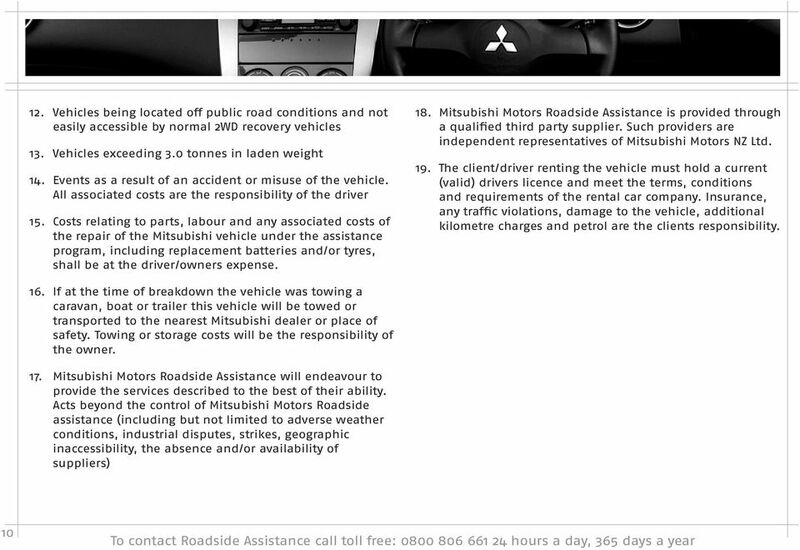 The conditions for the standard warranty apply to this 60 month/ 100,000km warranty also. 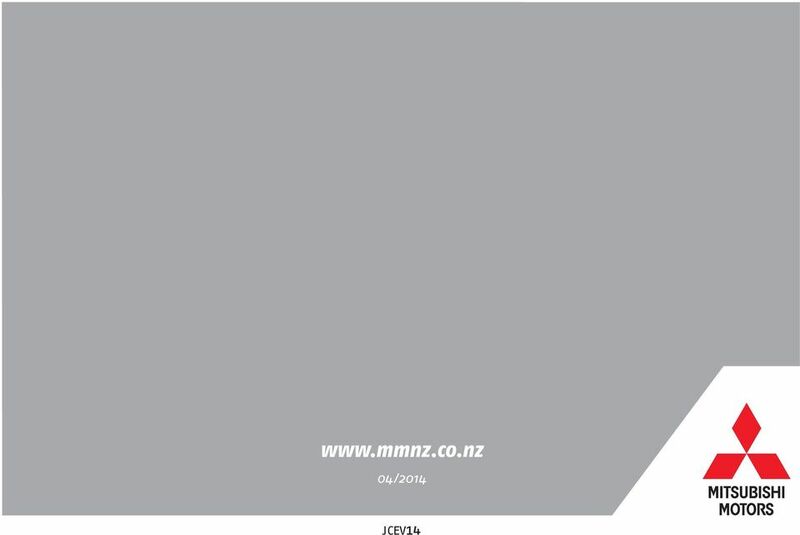 Peace of mind has a new standard. Infiniti. 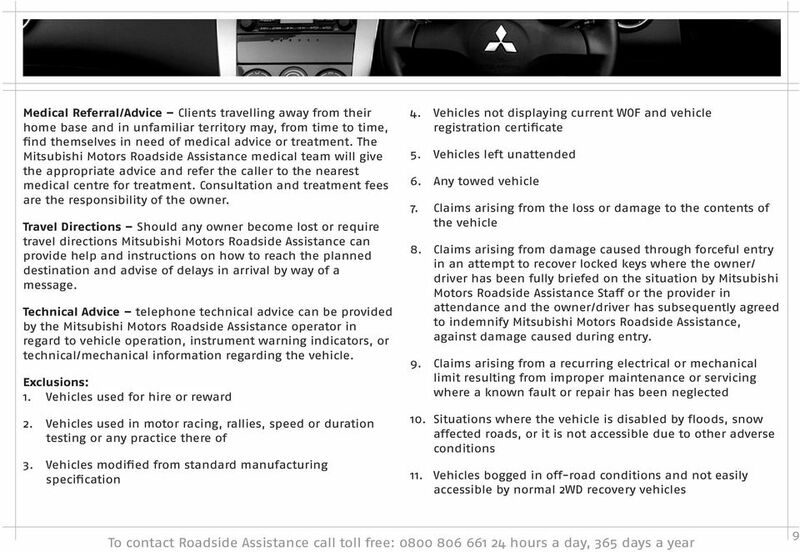 Touring Assistance 2 Infiniti. Peace of mind has a new standard. Your Infiniti is built to the highest specifications of quality and is the result of truly remarkable design and engineering.